Former President Barack Obama and first lady Michelle Obama have been creating quite a buzz in their post-White House lives. From vacations in Tahiti to lavish trips to New York, the Obamas are living a seemingly carefree life. The most recent post-presidency report making waves on social media is the purchase of the home they have been renting: an eight-bedroom, nine-bathroom home in the ritzy Kalorama neighborhood in Washington, D.C. — two miles from the White House. On May 31, the deed on the Tudor-style mansion had been transferred from the owner to the Obamas. This May 25, 2016, file photo shows a mansion in Washington’s Kalorama neighborhood. Barack and Michelle Obama bought the home, which they’ve been renting since the former president left office. Property records show the deed transfer was recorded on May 31. According to The Washington Post, the $8.1 million mansion is the second most expensive in the neighborhood. Amazon founder Jeffrey P. Bezos shelled out $23 million for his home in the same neighborhood. The couple had been renting a home in the area as their younger daughter, Sasha, who starts her junior year of high school this fall, finishes school at nearby Sidwell Friends School. The Obamas will also continue to own their home in the South Side of Chicago. “Given that president and Mrs. Obama will be in Washington for at least another two and a half years, it made sense for them to buy a home rather than continuing to rent property,” Obama spokesman Kevin Lewis told the Chicago Sun-Times. 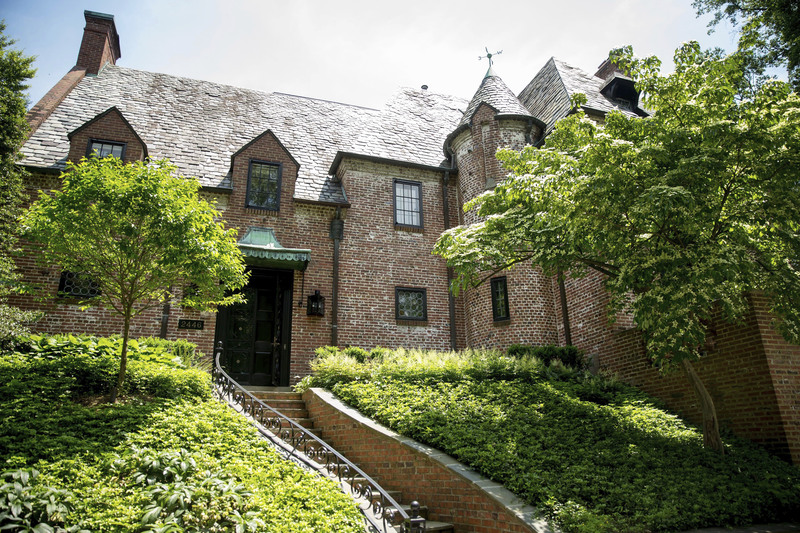 The Obamas join a list of politicians and public figures who call the Kalorama neighborhood home, including President Donald Trump’s daughter Ivanka, and her husband, Jared Kushner, as well as Secretary of State Rex W. Tillerson. Photos of the mansion can be viewed here. This Story Tagged: Barack Obama Michelle Obama Obamas Out And About Washington, D.C.